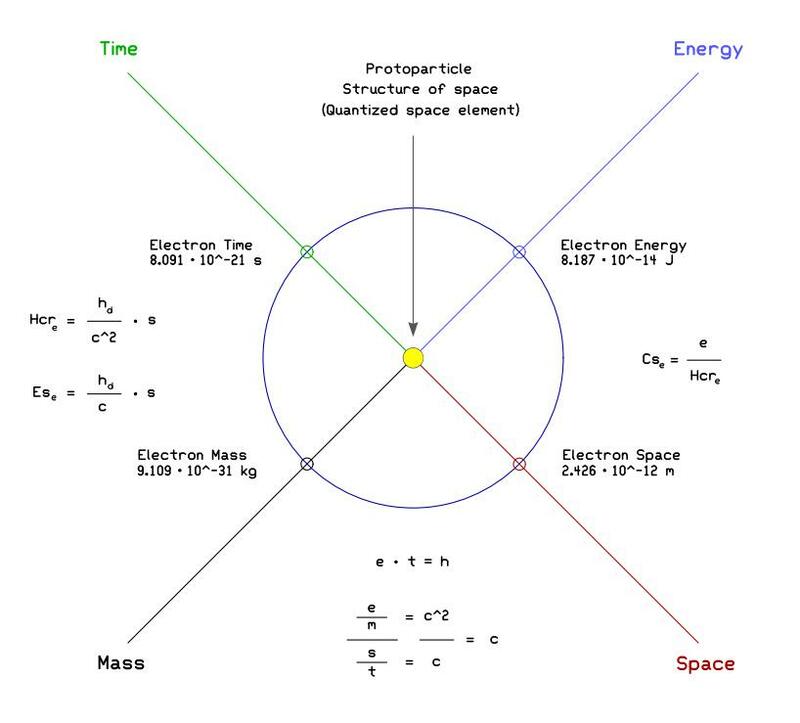 The Space can transmit and confine energy in proportion to frequency of the electromagnetic energy radiated , the demarcation point between the radiation and confinement (wave / particle) is the Compton frequency of the electron, the resonant frequency of Space. The essence of the Principle of Relativity of Albert Einstein, who commonly have, is summed up in the phrase: “everything is relative”, and what is meant by the fact that there is no dependence on what you consider. Far from it! The Principle of Relativity can be so renamed: Principle of the relation (including Space and Time), so its true meaning is the exact opposite common opinion, the physic reality around us is made of phenomena in absolute relationship between their!